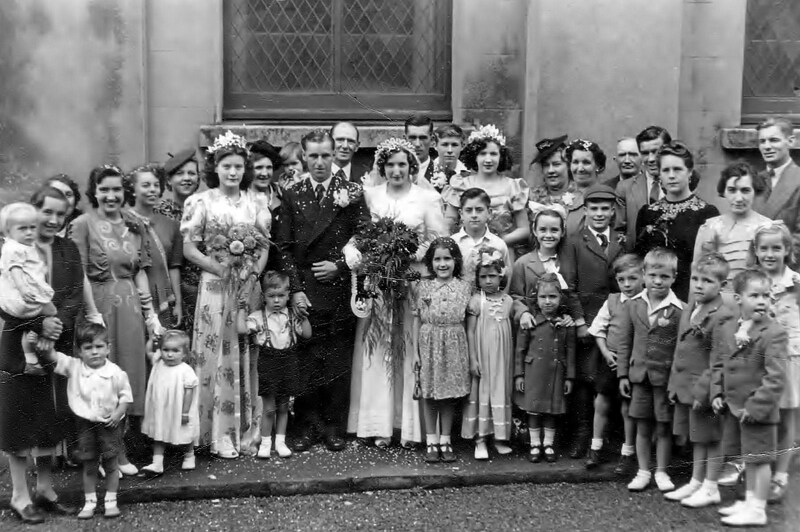 The wedding here took place 60 years ago in Portslade; sorry but I can’t remember the name of the church. The bride is Maud Roser, who died earlier this year and the groom is Donald Shoveler, also sadly deceased. The Roser family were from East Street, off North Street in Portslade. I am the little chap, about three years old, in the bottom left of the photograph. Also in the group are some of the Cheal family, as is Betty Morely, another follower of this site from Australia. Hi Pat. I don’t think John or June are there, June is alive and in Hove, John died many years ago, the rest of us are OK as I hope you are. Thank you for the church position. Photo of the coronation will follow soon. Hi Eddie. Sorry I have not answered before but I have had some problems. Thank you for the photo – I see my sister is in it and saw a few others.